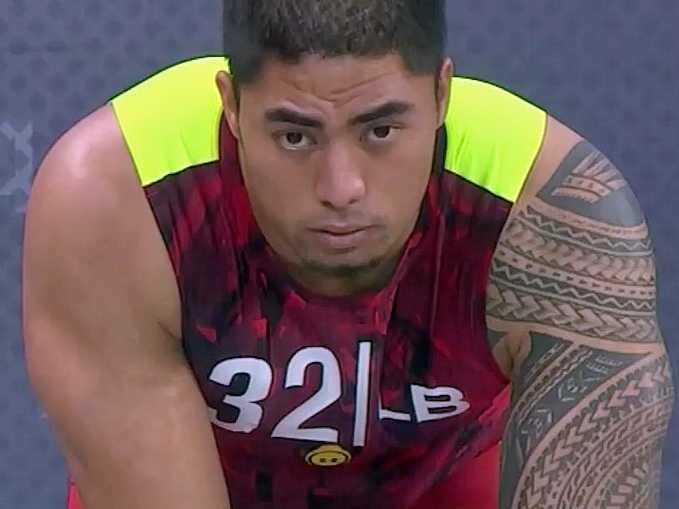 Manti Te’o is having an underwhelming NFL combine, at least when it comes to on-field stuff.He ran a 4.82 40-yard-dash today, which was a little bit slower than what people expected. 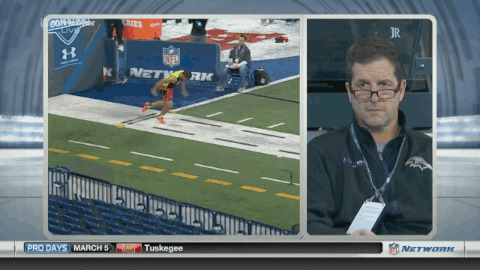 It was one of the slowest times of any linebacker who participated. 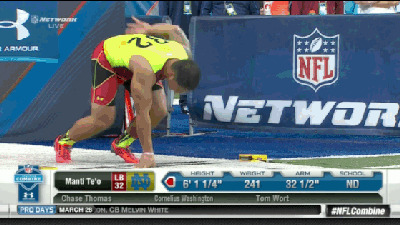 Te’o is also physically smaller than scouts anticipated at 241 pounds, making his slow 40-time that much worse. The disclaimer here is that it’s dumb to judge how good a football player someone is by a random sampling of exercises. 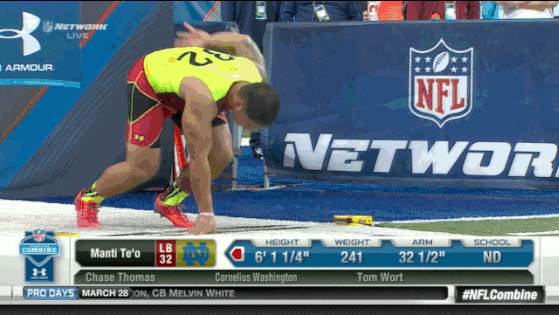 But the combine really matters to NFL people, and Te’o probably hurt himself by not putting up some freaky numbers. On the other hand, all indications are that Te’o has quelled some fears about the whole imaginary girlfriend thing in his meetings with teams. I’ve spoken with several GMs and coaches who’ve done 15-minute team interviews with manti te’o. They all came away really liking the kid. So that’s a big plus. But even if the girlfriend hoax made Te’o look worse than it did, his on-field skill is what will make or break him as a draft prospect. And a so-so combine won’t help him in that respect.